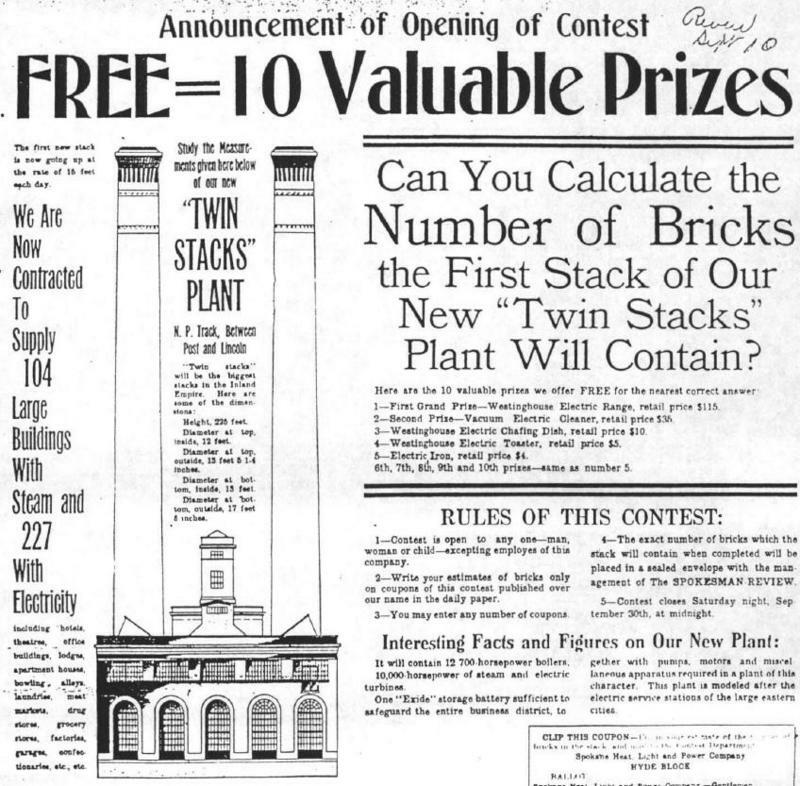 The Spokane Steam Plant began as simple cost saving measure. In the early 1900's the Trustee Company owned five buildings in Spokane's downtown, and hit upon the idea of producing their steam heat from a central location to save on costs. 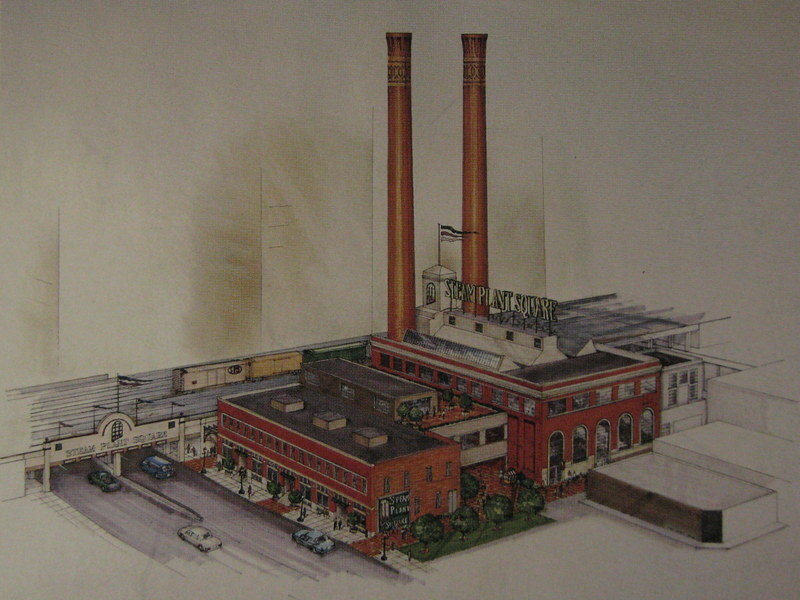 Although even this was no small idea, it paled in comparison to what the Steam Plant would become. 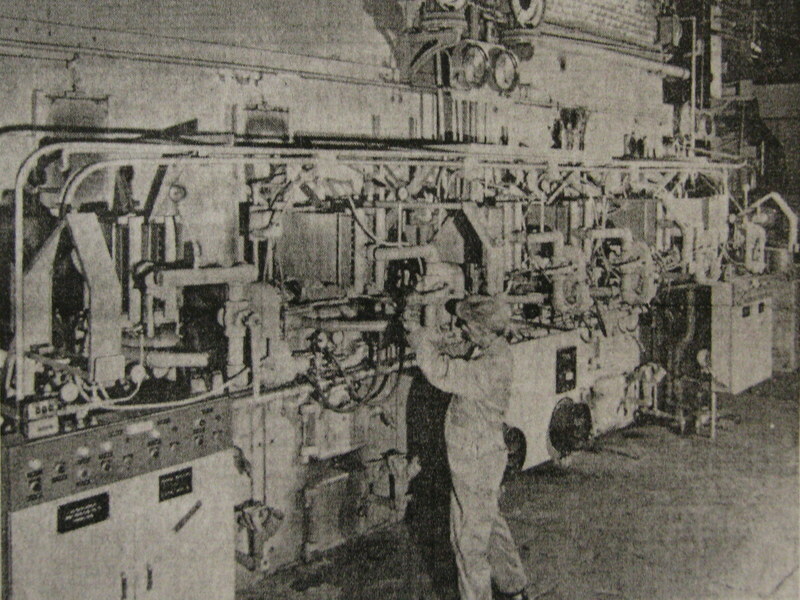 Thanks to Henry Flood, the Chief of Staff for the Trustee Company, the Steam Plant grew from a centralized location intended to produce steam for a few buildings, into a commercial enterprise which be contracted to provide heat for thirty eight buildings shortly after it's completion in 1916. Eventually the Steam Plant would serve most of the business district, and would end up providing heat for over three hundred buildings. Over the years the Steam Plant underwent a numerous of upgrades and passed through the hands of a number of different owners. It finally came to rest under the ownership of Avista Utilities, which was forced to shut the Steam Plant down in the 1980's, when the cost of maintaining the steam lines that piped the steam throughout the city became too much. 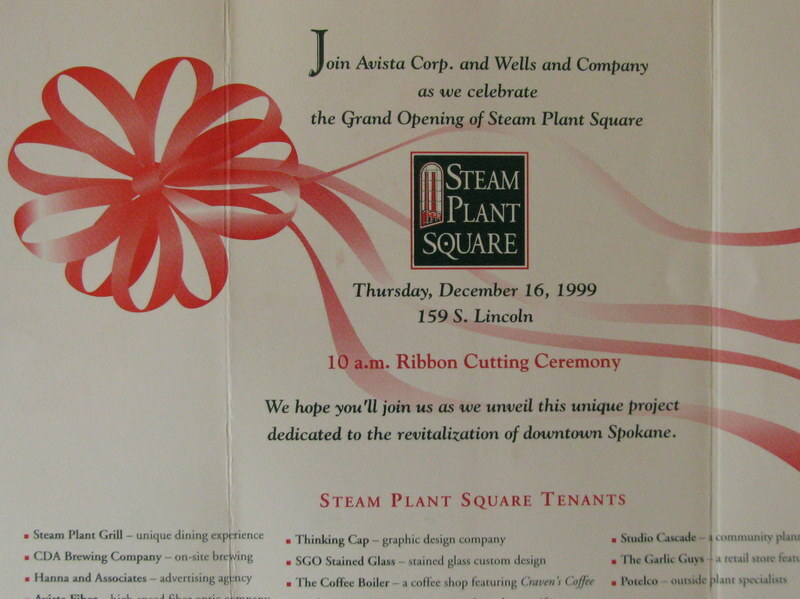 A decade later the Steam Plant was reopened as a commercial space and is home to businesses such as an architectural firm, and even a restaurant. 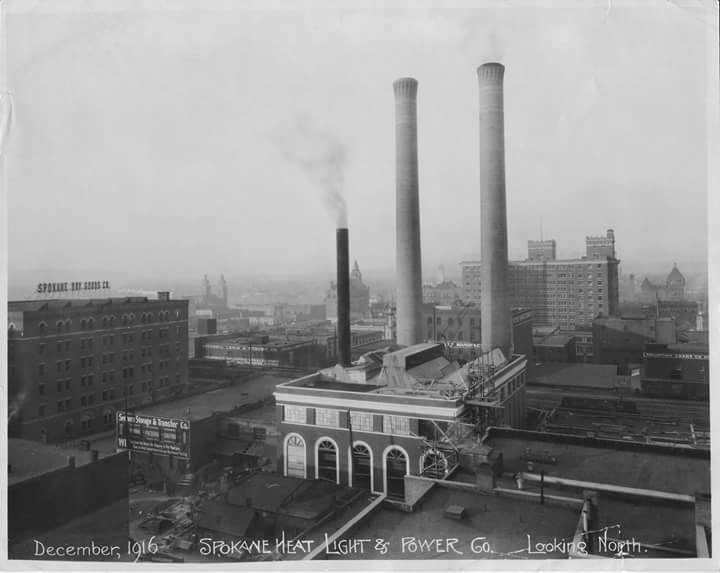 Steam Plant 1916: This early photograph shows not only the Steam Plant but the gray air the was typical of the coal-powered cities of one hundred years ago. Photography courtesy of Jenny Johnson Brownlee. 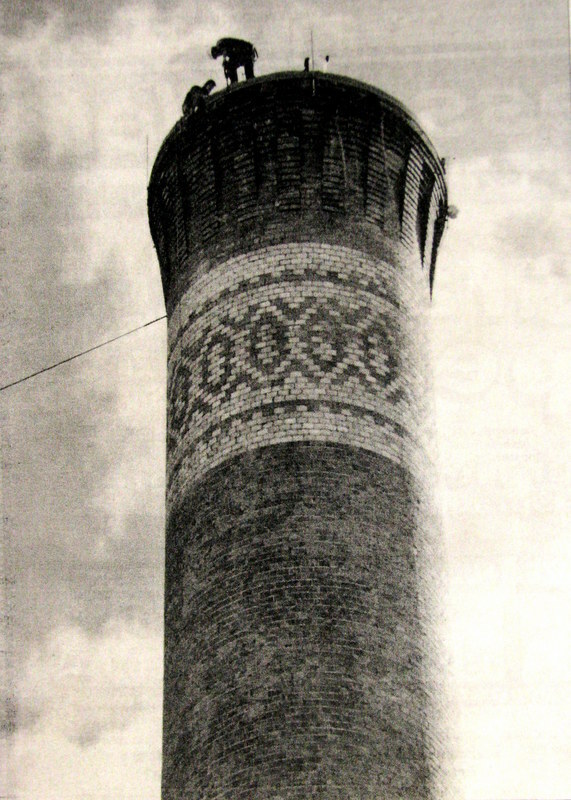 Ian Reeves, “Steam Plant,” Spokane Historical, accessed April 20, 2019, https://spokanehistorical.org/items/show/68.